An academic review performed by Monash University researcher has discovered those who exercise excessively may be more likely to experience immediate or ongoing stomach issues. 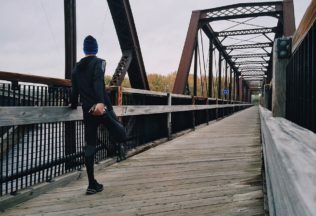 The review, published in volume 46, issue 2 of Alimentary Pharmacology and Therapeutics journal, found that the more people increased the intensity and duration of their exercise, the greater the risk of gut damage and impaired gut function. The review said during pro-longed and intensive periods of exercise cells in the intestine are injured and the gut becomes more “leaky”, releasing toxins into the blood stream. Damage for the gut was found to typically start at two hours of exercising at 60 per cent of an individual’s maximum oxygen consumption. Running or exercising in hot temperatures appeared to upset gut health further. The study also found those who have irritable bowel syndrome (IBS) or inflammatory bowel disease, may be bets sticking to low to moderate physical activity. Lead author of the review, Dr Ricardo Costa, said although exercise can potentially negatively impact gut health, there are a number of management strategies that can be taken. “It is recommended that a full gut assessment during exercise should be undertaken by individuals that present gut disturbances, e.g. symptoms, during exercise, to ascertain what is causing the issue/s and developed individually tailors management strategies,” Dr Costa said.